On the day it declared itself independent in September 1991, Macedonia was the least developed of the former Yugoslav republics. Since that time, however, close ties between the country and the European Union, and a genuine commitment from the Macedonian government to implement the required structural reforms have fuelled the country’s economic growth in recent years. Macedonia’s economic environment is conducive to business in fiscal terms, an example of which is the general tax rate, which is just 10%. Key investment areas in recent times have been the telecommunications, power, refining, cement production, steel and mining industries. PMR Consulting offers a wide range of advisory services for the Macedonian market. We have experience in conducting market analysis and local market insight. We produce reports containing information on market conditions, as well as an assessment of the market’s value and identification of potential barriers to entry and further penetration. 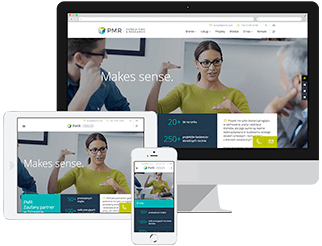 The range of consulting services provided by PMR includes sourcing. We use our extensive experience of operating on the market to identify suitable candidates to help you export your products. We prepare general market intelligence studies aimed at reviewing our client’s cost base structure and identify areas where your costs may be excessive and can benefit from the drafting of a new sourcing strategy. PMR clients planning to invest in the Balkan region often require information and insight for several markets at the same time. In these cases, PMR draws upon its experience of implementing international consulting projects and conducting studies in multiple markets concurrently to provide a comprehensive end-to-end advisory service.